I'm counting anything handwritten that is not a letter and not a bound work as a manuscript. In a college collection, that's turning out to be mostly papers written for classes. page 1 A hand-written manuscript, bound in thread with a few extra pages attached after the binding was made, with straight pins. 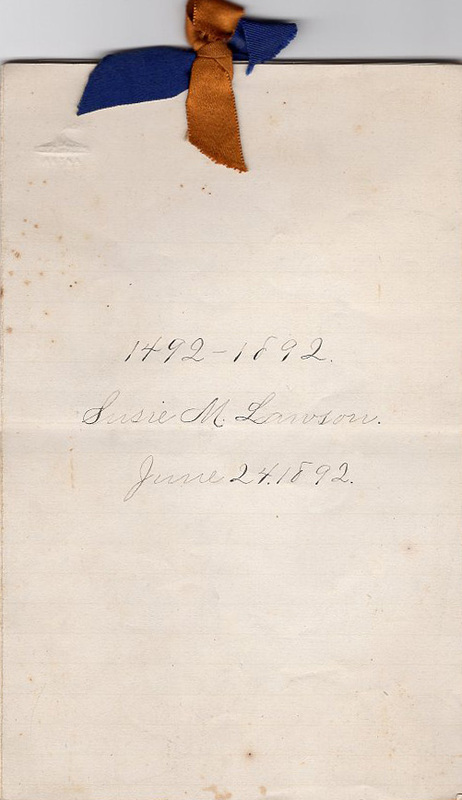 Full contents of the sermon, though only the first page is scanned. 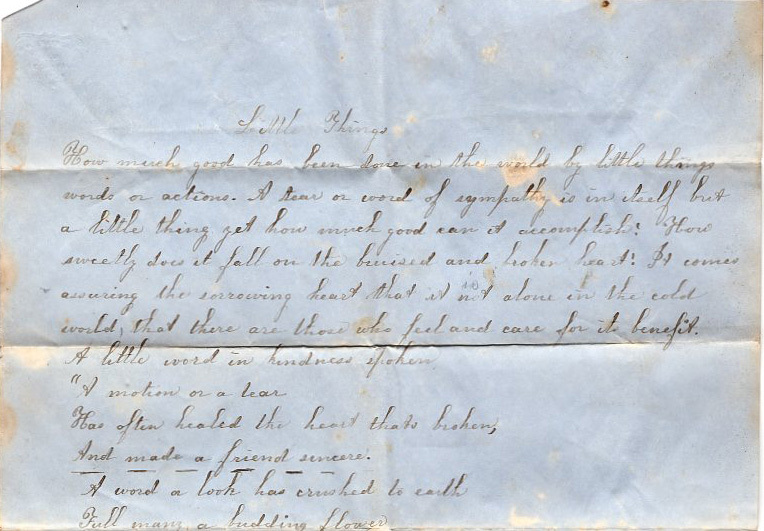 Two copies of an essay written on Apr 15, 1848 called "The Holyoke Girl's Complaint"
page 1 A copy of the essay submitted as an assignment. Full contents of essay, though only the first page is scanned. page 1 A copy of the essay written for Miss Tolman. Full contents of essay, though only the first page is scanned. The two copies are almost identical, but there are a few differences in words, punctuation and emphasis. 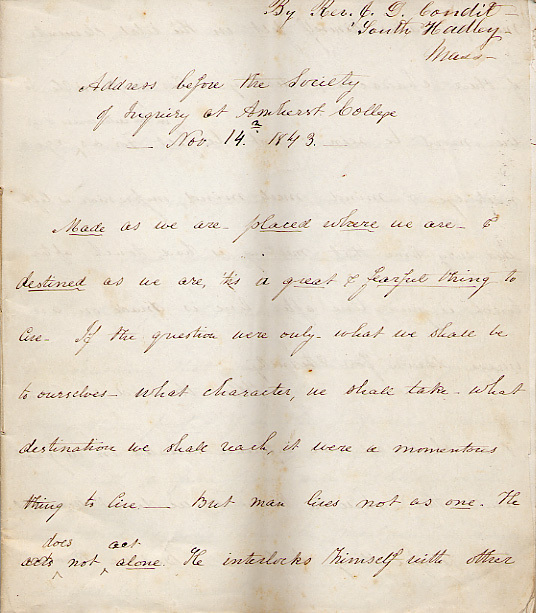 page 1 An essay written about Mary Lyon, sometime after her death, but probably before 1880, if the handwriting can be an indicator. 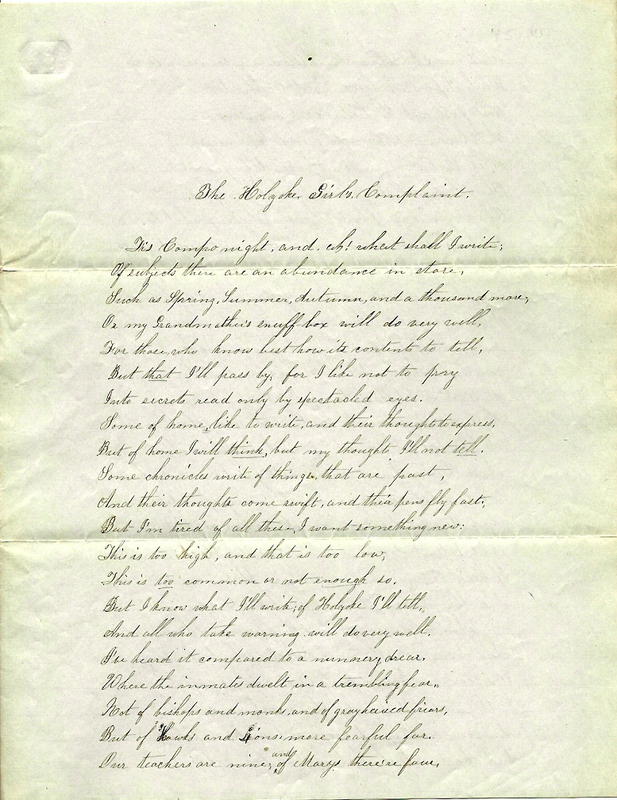 Full contents of essay, though only part of the first page is scanned. cover Written on lined paper and bound with gold and blue ribbon. 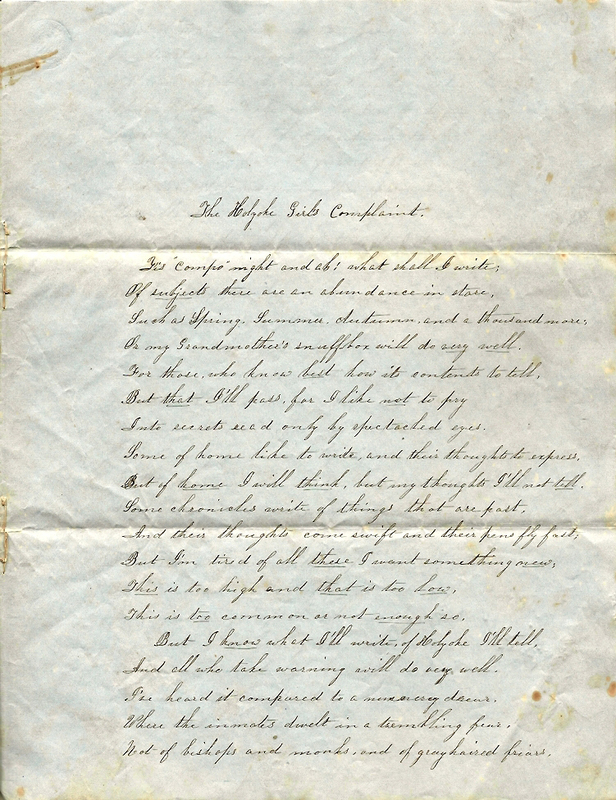 Full contents of composition, though only the first page is scanned. outside "Susan Lawson's Composition No 3'rd"
page 1 Full contents of composition, though only part of the first page is scanned.